We have officially expanded our service coverage area in Joshua, TX! 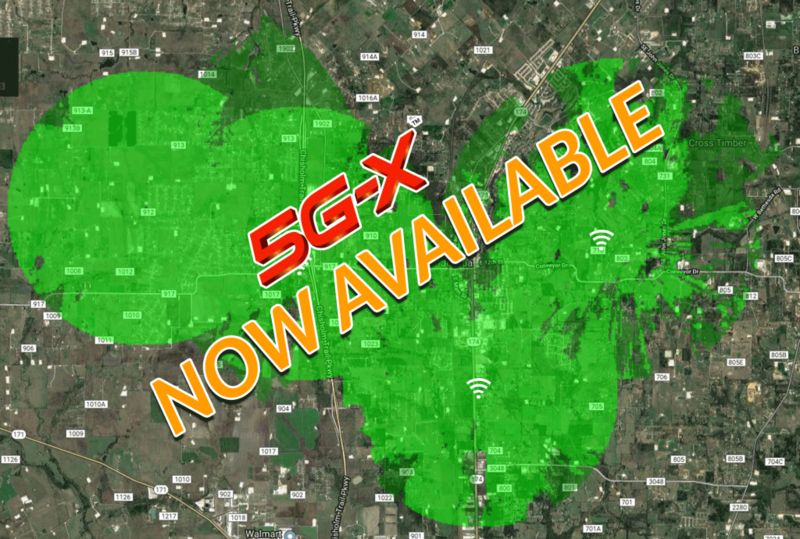 5G-X is delivering high-speed internet in Alvarado TX. We are equipped for residential and business needs. 5G is the next generation of wireless technology. So, that means faster load times and more devices on the network. For example, download an HD movie in a matter of seconds. Simultaneously, participate in online gaming without interruption. Also, with 5G-X, you can enjoy the comfort of country living with the convenience of high-speed internet. We cater to rural areas in Texas, currently. In short, here is what happens when you sign up for 5G-X internet. No Contracts- We will not slow down your internet or limit the amount of data based on your usage. You can, however, change package plans at any time. Connect Multiple Devices- In addition, utilize your PC, tablet, phone, and other wireless devices all at the same time. Firstly, we will check your address in-office to verify service coverage. After that, we will send you a link to create your customer account and schedule a time to conduct an in-person address check. And finally, if the installation is successful, you will be billed for the installation fee and first month of internet service. You will be billed on the same day every month. Also, please note, the customer account will not be charged until after installation.